Are you convinced that diagramming is both useful and necessary in your company, but your colleagues don’t yet share your enthusiasm? You can use our white papers to support your case and help to convince them that draw.io will improve communication and collaboration in the company. We prepared two white papers for the recent and wildly successful Atlassian Summit Europe 2017, where we were the diamond sponsor. We are visual creatures who learn faster and communicate better with diagrams. 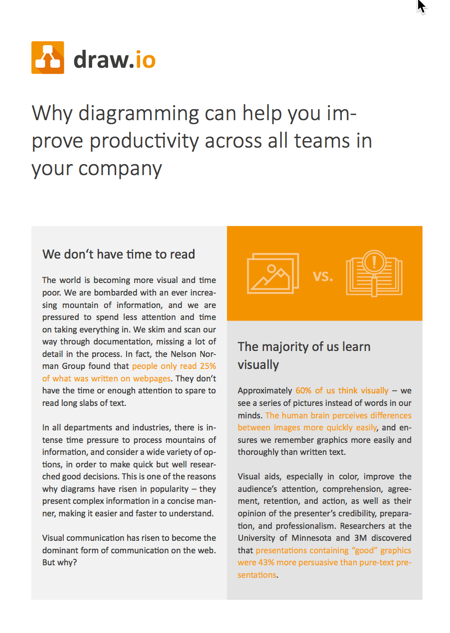 This white paper explains the many reasons why diagramming is important for your company, especially when it comes to productivity and collaboration. Where can I use diagrams in my company? 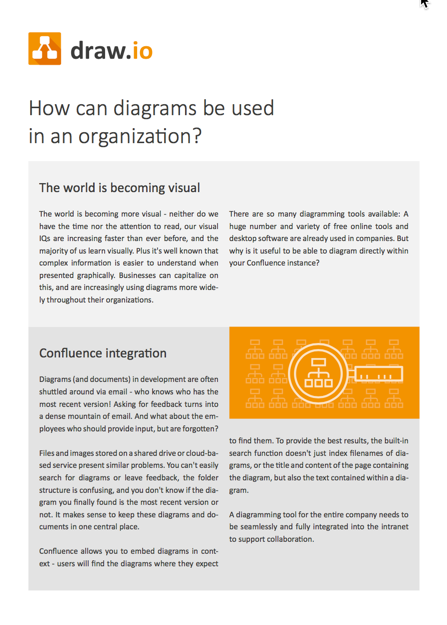 Your colleagues are probably using diagrams – they are useful in all departments and project groups. In this white paper we present some use cases where different types of diagrams are useful. Integrate draw.io into Confluence to improve collaboration and transparency. Use the built-in revision control to track changes. Create organization charts or graphs so employees know who to contact. Use floor plans for office or conference layouts. Document complex software in easy-to-understand diagrams. Illustrate relationships between teams and departments. Brainstorm and solve problems with mind maps, tree and procedural diagrams. 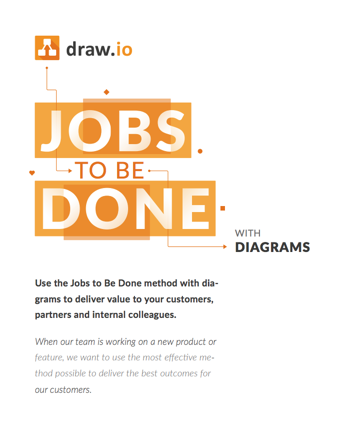 Are you using diagrams with the Jobs to Be Done method of analyzing customer needs? If you aren’t, you should be! In 2018, we published another white paper for the Atlassian Summit, explaining the different types of diagrams that can make your Job to Be Done process much more efficient and enjoyable.